Sycamore tree and leaf and seeds contain the toxin hypoglycin A.
Bare pastures and potential hay shortages, coupled with early transatlantic storms blowing seeds from laden sycamore trees, have created the ‘perfect storm’ in the northern hemisphere to increase the risks of atypical myopathy for grazing horses. Atypical myopathy, as a sudden onset of muscle disease has been recognised in horses for more than 60 years but its cause, the toxin hypoglyxin A, was not identified until 2013. In Britain, the most common source of the toxin is now known to be the Sycamore tree (Acer pseudoplatanus), a member of the maple tree family. The Box Elder (Acer negundo) is the most common tree to cause the disease in North America. Both trees share the typical helicopter-shaped fruit that help to distribute their seeds over long distances, typically several hundred metres, but reportedly up to 4km. High winds early in autumn can result in greater spread of seeds for the simple reason that they have yet to fall naturally and the high winds will bring down large numbers of seeds over a short duration of time. The British Equine Veterinary Association (BEVA) is advising horse owners to take steps now to minimise the risks of this fatal disease. “Horses do not typically choose to eat sycamore seeds, however when pastures are bare, there is a greater tendency for them to be ingested as horses are foraging for every last blade of grass,” said BEVA member Adam Redpath, one of the equine medicine experts working at Nottingham Vet School. A range of factors affect the amount of toxin in sycamore seeds, meaning the ‘toxic dose’ can vary from less than 100 to several thousand single seeds. Given that each tree can shed more than 20,000 fruit, each with two seeds, the amount on pasture can be considerable. In the spring, seedlings represent a risk to horses and can affect hay made from contaminated pasture. Seedlings at the edge of watercourses can also contaminate water supplies, especially when trampled as horses walk across them. The clinical signs of atypical myopathy vary considerably. Most consistent is the passing of dark brown urine (myoglobinuria) as a result of muscle breakdown. Horses usually become weak and reluctant to move and may lay down, but usually have a normal or increased appetite. In the most severe case the horse will develop very severe colic-like signs as a result of significant pain. In some horses the severity of muscle pain leads to euthanasia on welfare grounds. These signs occur as a result of the active toxin which prevents muscles from undergoing normal energy metabolism. It can affect all muscles in the body including the respiratory muscles and heart. 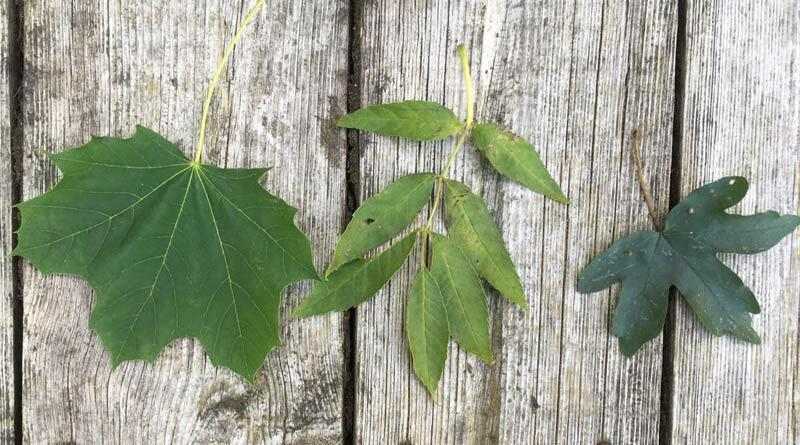 From left: Sycamore leaf, ash leaf, and field maple leaf. The field maple is a different member of the maple family, not believed to be toxic. Common Ash is not a member of the maple family and is not believed to be toxic but has similar helicopter seeds and is often confused with sycamores. Identify trees both around grazed fields as well as those in close proximity. Trees are often easiest to identify in the summer when in full leaf, rather than in the autumn, when leaves have largely fallen. The characteristic maple leaf shape is easy to spot, although if in doubt a test is available from the Royal Veterinary College as a result of work funded by The Horse Trust. Vets can also send atypical myopathy samples. Collect seeds or exclude horses from affected areas using electric fencing or stabling. Feed supplementary hay to try to prevent horses from excessive foraging for short blades of grass and inadvertent ingestion of seeds. But ensure that hay does not become contaminated by seeds. Don’t rashly fell trees when laden with seeds as this can cause a sudden and massive contamination of the pasture. Consider local regulations, tree protection orders and tree ownership if felling is the only option. Monitor horses carefully even after they have been moved from affected pasture as disease can occur up to four days after exposure.